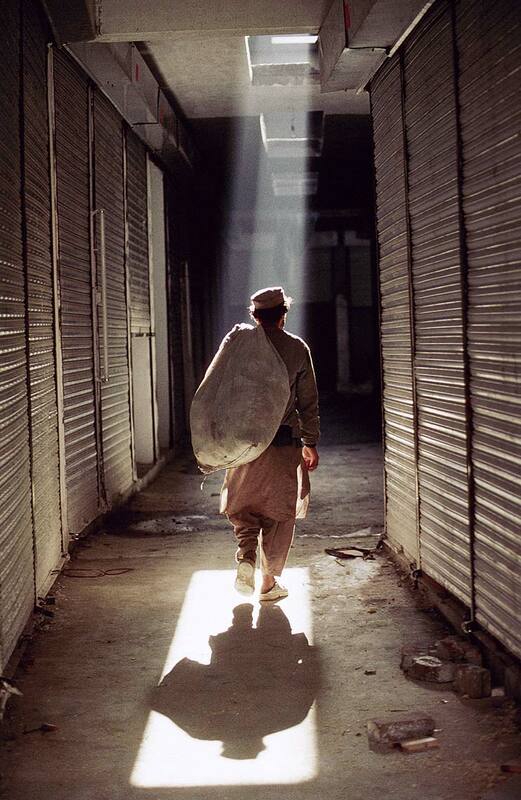 A man makes his way through the early morning market in Rawalpindi, Pakistan. Clemens intended to penetrate the North-West Frontier of India as far as Peshwar, only a few miles from the Khyber Pass. But his extended illness in Jaipur forced him to stop at Rawalpindi.